What is a Missouri Rental Application? Missouri Rental Application: What Is It? A rental application in Missouri is a tool that property managers and landlords use to organize their applicant's information, and process to find a suitable tenant for their rental property or apartment. 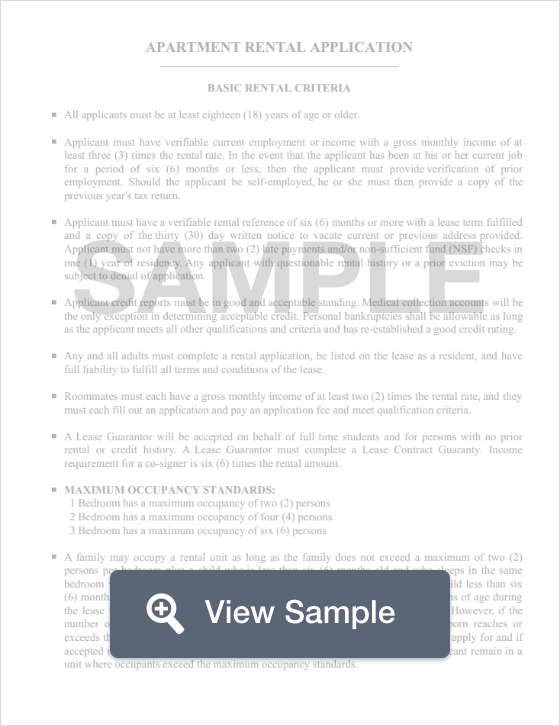 A rental application is vital for landlords because it sheds light on an applicant’s financial status, and allows the landlord to determine whether or not the applicant would be an ideal tenant. Although the tenant has to provide sensitive and revealing information on a rental application, the document helps to protect them too because a rental application must conform to federal fair housing laws that protect applicants from discrimination. For each application submitted, an applicant should expect to pay around $25 to $75, however, the fee can be more. The state of Missouri has no laws that limit the amount that a landlord can request for a security deposit. The state law does say that landlords must not only repay the tenant his or her deposit back within 3 weeks of moving out of the premises but also pay the tenant 1% simple interest on their deposit every year they reside in the rental (Minn. Stat. Ann. §§ 504B.175, 504B.178, 504B.195).